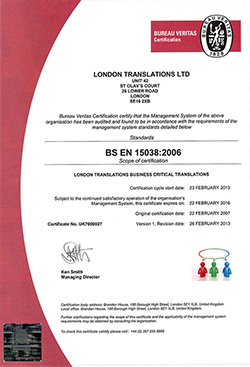 Way back in February 2007 we became the first translation company to be independently audited and awarded the new British Standard EN 15038 for translation service quality. And we’ve passed every annual audit since with flying colours. So why does that matter to you? 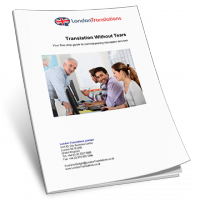 Almost all translation companies purport to offer ‘high quality’ translation services but many are unable to substantiate such claims leaving you unsure whether you are really getting the high standards you are paying for. 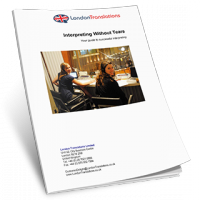 British Standard EN 15038 for translation service quality was an important landmark in our industry as it acts as an important benchmark to help separate true quality providers from pretenders. 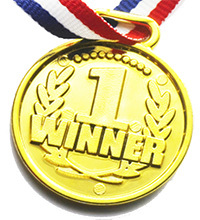 Either the translation company you are buying from has been independently certified as being in compliance – or it has not.